The Trump administration will impose new sanctions against Russia on Monday for "enabling the Syrian government's use of chemical weapons in civil war", Nikki Haley revealed earlier on Sunday, and the New York Times confirmed later in the day. The Sanctions, first announced by UN ambassador Nikki Haley, "will go directly to any sort of companies that were dealing with equipment related to Assad and chemical weapons use," said Haley on CBS's Face the Nation Sunday morning. The Monday sanctions will be the third round enacted by the Trump administration against Russia in the past month. In March, the administration imposed sanctions on a series of Russian organizations and individuals over 2016 election meddling and other "malicious cyberattacks." 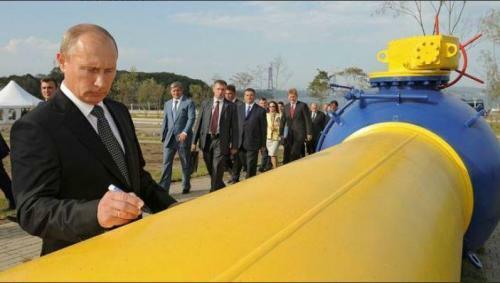 In late March, the U.S. State Department warned European corporations that they will likely face penalties if they participate in the construction of Russia's Nord Stream 2 gas pipeline, on the grounds that "the project undermines energy security in Europe", when in reality Russia has for decades been a quasi-monopolist on European energy supplies and thus has unprecedented leverage over European politics, at least behind the scenes. Last week, the Trump administration slapped sanctions on seven of Russia's richest men and 17 top Kremlin officials over election interference and other Russian aggressions. Former Obama Admin sanctions official Elizabeth Rosenberg called the penalties as "fairly muscular," and predicted more to come. The Trump administration also expelled 60 Russian diplomats and intelligence officers, closing the Russian consulate in Seattle after the poisoning of former Russian double-agent Sergei Skripal, in Salisbury UK (except, oh my, a Swiss lab says the "BZ toxin" used in the poisoning came from the US or the UK).